BSkyB faces Ofcom investigation into pay-TV films | What Hi-Fi? Ofcom raised the issue in March when it forced BSkyB to cut the amount it charges rival broadcasters to show Sky Sports channels. It also highlighted concerns that the broadcaster was restricting the distribution of premium film rights. Today Ofcom has asked the Competition Commission to investigate concerns regarding the sale and distribution of subscription premium pay-TV films – the first showing of Hollywood blockbusters on TV. "First-run Hollywood films are particularly important to competition in the pay-TV sector," says Ofcom. "This is because they are highly attractive to a large number of consumers, who want subscription access to premium high-quality movies as close to their box office release as possible. "Ofcom is concerned in particular that the way in which these movies are sold and distributed creates a situation in which Sky has the incentive and ability to distort competition." 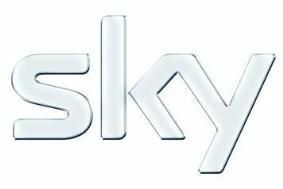 The industry regulator is also concerned that Sky will be able to dominate the subscription video-on-demand market for premium films when it launches its own VoD services. The Competition Commission will have two years to complete its investigation, which will look at the rights to films sold by the major Holywood studios to broadcast films for he first time on pay TV. The second area Ofcom will investigate is concerns about the wholesale supply of pay-TV packages containing film channels, which are based on those rights, to rivals. Last year Sky hit back furiously at Ofcom's "unprecedented level of interference in commercial markets", saying it would use "all available legal avenues" to contest Ofcom's ruling.